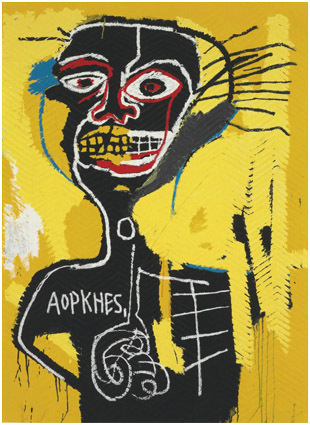 Jean-Michel Basquiat was born in Brooklyn, New York, the first of three children. His father, Gerard Basquiat, was born in Port-au-Prince, Haiti, and his mother, Matilde Basquiat, was of Puerto Rican descent, born in Brooklyn, New York. Basquiat was a precocious child who learned how to read and write by age four and was a gifted artist. His teachers noticed his artistic abilities, and his mother encouraged her son's artistic talent. His mother suffered from mental illness, which caused a strain on his family.